Electric cars are the future for humanity and this realization has tempted traditional automakers. After the electric sports and hyper-cars (Tesla Roadster and Rimac) it’s time for the luxury segment to be electrified. 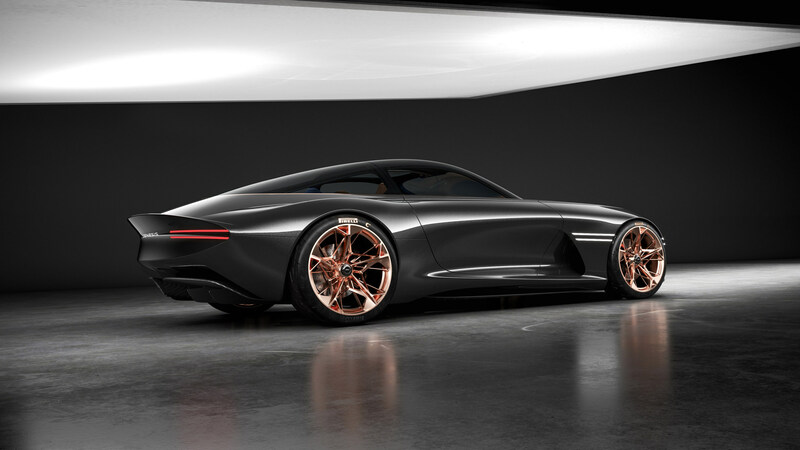 ‘Essentia Concept’ luxury electric concept car is unveiled by Genesis Motors which is a luxury vehicles arm of the Korean car manufacturer Hyundai Motors Group. The automaker is aiming to bring the concept electric car to production by 2021. New York International Auto Show is currently showing the beautiful concept electric vehicle at the show — if by any chance you happen to be in New York, you can visit the auto show and be electrified by the ‘Essentia Concept’ live using the details of timing and location here. As Hyundai is accelerating their Electric-Vehicle mission by unveiling the Kona Electric CUV at the show as well the subsidiary Genesis Motors also came up with a great design that is to become a reality in not-so-distant future. Genesis released the following video of the unveiling from the New York Auto Show and another video that is a teaser to ignite the senses (HD photo gallery at the end of post). We understand our obligation as a luxury car manufacturer to create objects of desire, sparking passion and inspiration by emphasizing a culture while exceeding expectations in terms of technology and connectivity, bringing our outside world seamlessly to the inside of the vehicle — This is what the Genesis Essentia Concept is all about, and we are thrilled to introduce our interpretation of an all-electric, two-door Gran Turismo here in New York. 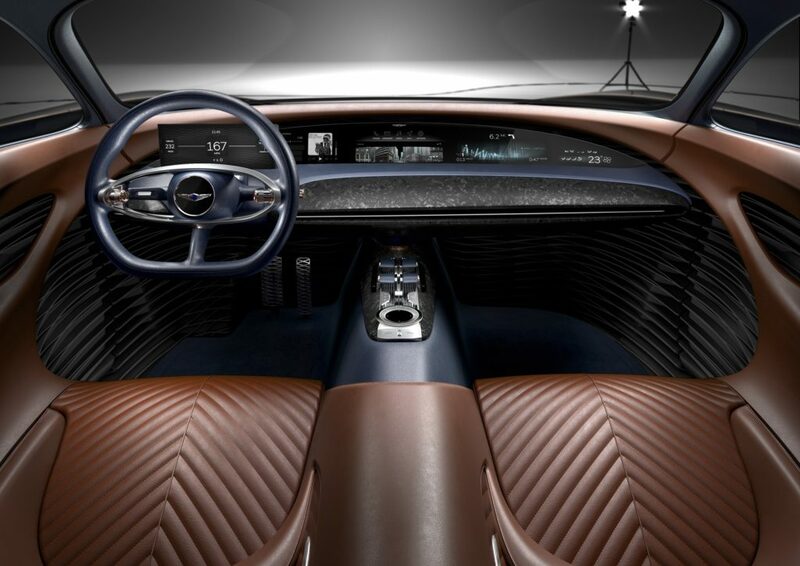 While Essentia Concept’s exterior is a fine work of art and engineering — what I most like about the interior is the touch-screen which apparently spans the whole dashboard from left to right, from driver to passenger (HD photo below). Until now we have been bragging about the Tesla center screens that are the largest in any vehicle segment till now — but that might change in 2021 with the oncoming of Genesis Essentia luxury electric car. The below teaser video is also released by Genesis USA alongside the unveil at the New York International Auto Show. 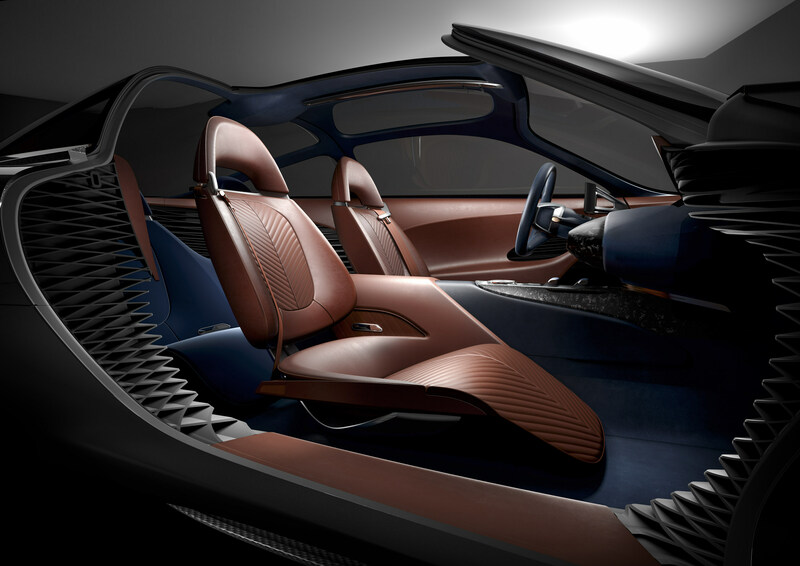 The electric luxury concept has butterfly doors a symbol for luxury cars like Ferraris and Lamborghinis since long. The Genesis design team was able to achieve a super-low 50 inch roofline and a spcious GT style cabin by integrating a high-density battery pack in “I-shap” not a traditional rectangular bed across the chassis. Currently the luxury automaker is silent on the battery-pack capacity but says the battery-pack consists of high-density cells. 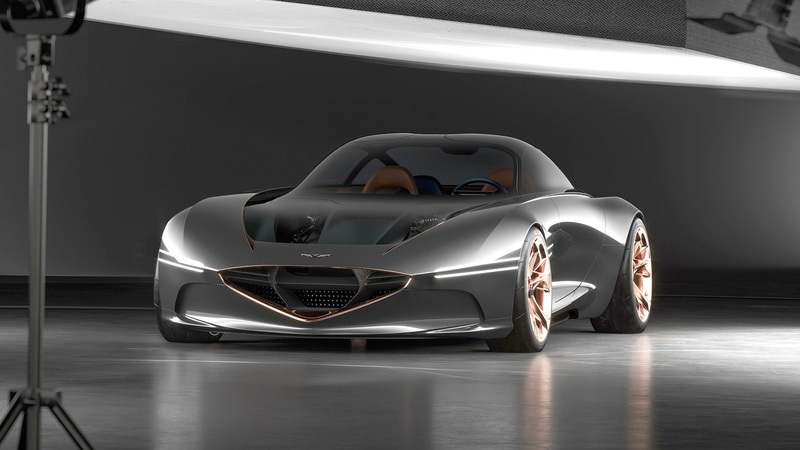 In the press release Genesis announces an estimated 0-60 time in 3.0 seconds in my opinion that should be the least for a luxury sports electric vehicle which yields the miracle of ‘instant torque/acceleration’. Let’s enjoy these great photos of the Essentia Concept until we hear about it the next time.